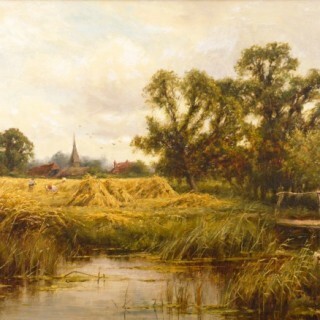 Henry John Kinnaird was a landscapes and river painter who was born on 7 June in Old Church, St Pancras. He was the son of the artist Francis Henry Kinnaird (1836-1916) and brother to Francis Joseph ‘Wiggs’ Kinnaird (1875-1915), also a landscape artist. 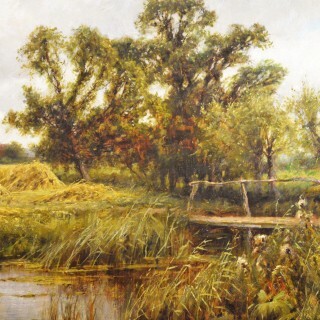 During the 1880’s he lived in Camden Town, London and started exhibiting a number of works at the Royal Academy including: ‘The Tow Path near Henley’, ‘ The Thames near Pangbourne’ and ‘The Old Mill, Burnham, Essex’. 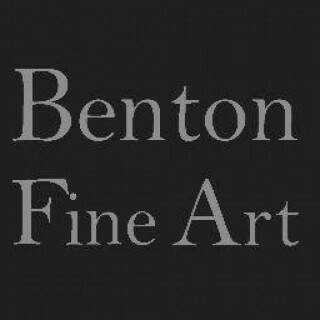 He also exhibited at the Royal Society of British Artists, the Royal Society of Artists, Birmingham and the Royal Institute of Oil Painters. 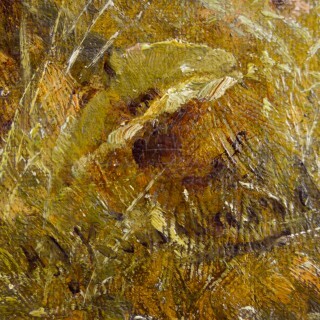 By 1887, he had moved to Chingford in Essex before moving to Sussex around 1901. 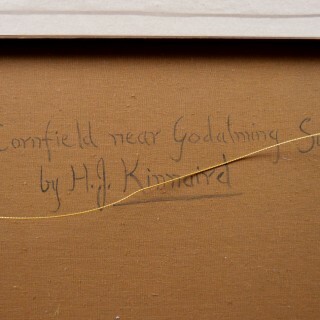 Kinnaird lived in Worthing before finally settling in Ringmer near Lewes where he spent the rest of his life. He died on 26 February at Old Cottage, Ringmer in 1929. Kinnaird painted in both oils and watercolours in a broad, naturalistic style similar to John Horace Hooper. 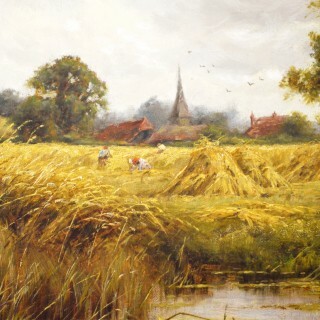 Many of his works are of harvest scenes in and around Surrey and Sussex, often featuring rivers as in this lovely example. 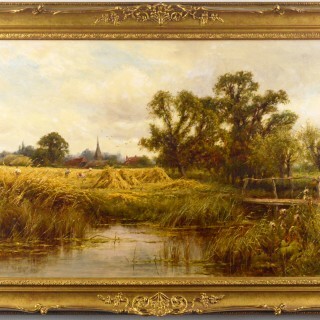 The work is housed in a new, English made gilt frame, which is in excellent condition.